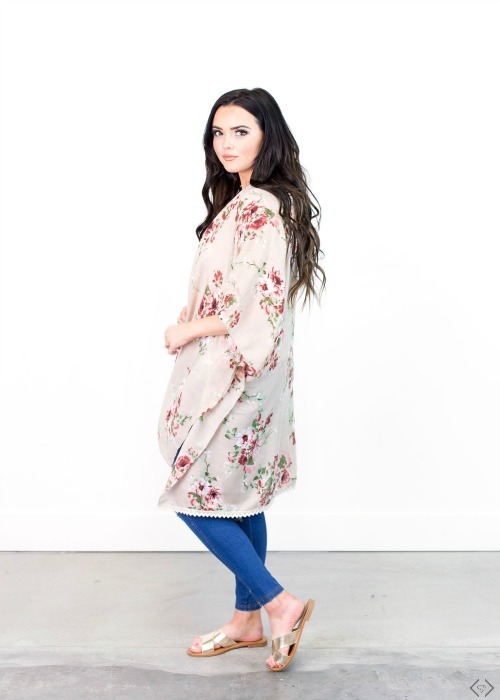 There are so many ways to style a kimono, I have no doubt you will love dressing them up for date night or dressing them down for a trip to the grocery store! 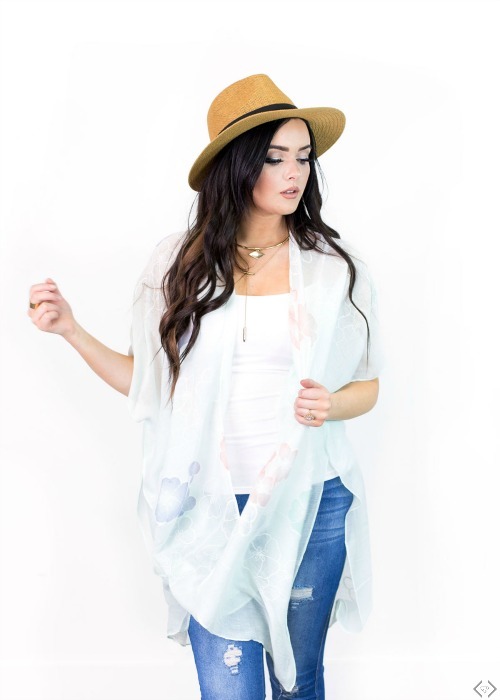 Throw one in your pool bag and you have the BEST swimsuit coverup ever! 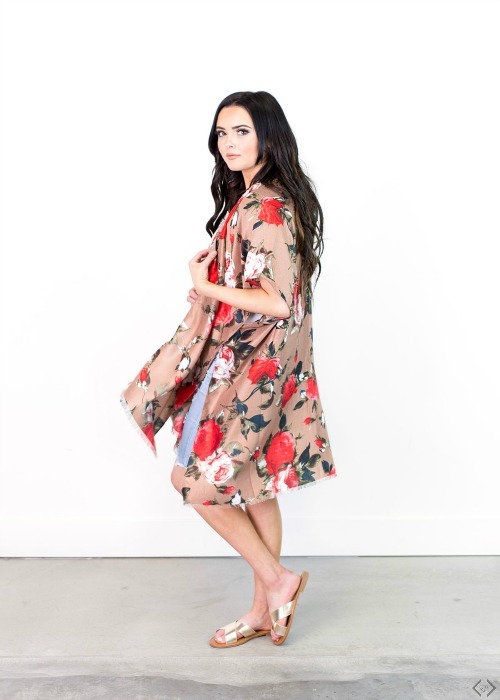 That’s the beauty of these kimonos you literally can go from poolside to date night with one piece! 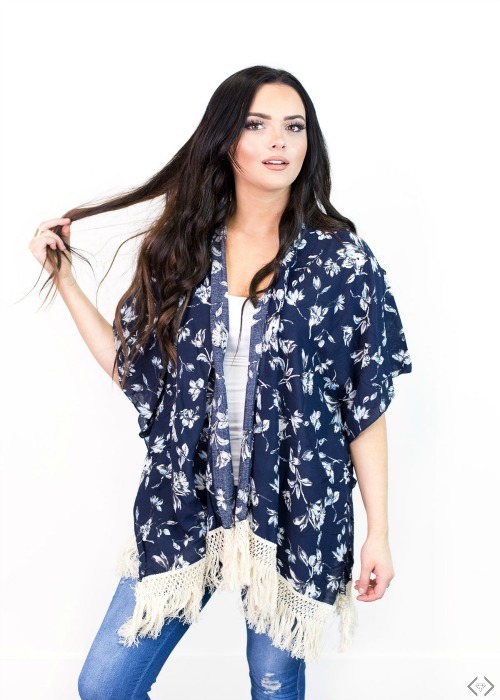 Right now, you can make your every day look fabulous with little effort by shopping Kimonos 40% OFF with the code KIMONOFRIDAY + GET FREE SHIPPING!! The code is KIMONOFRIDAY 40% Off Plus FREE SHIPPING. See below for amazing prices! 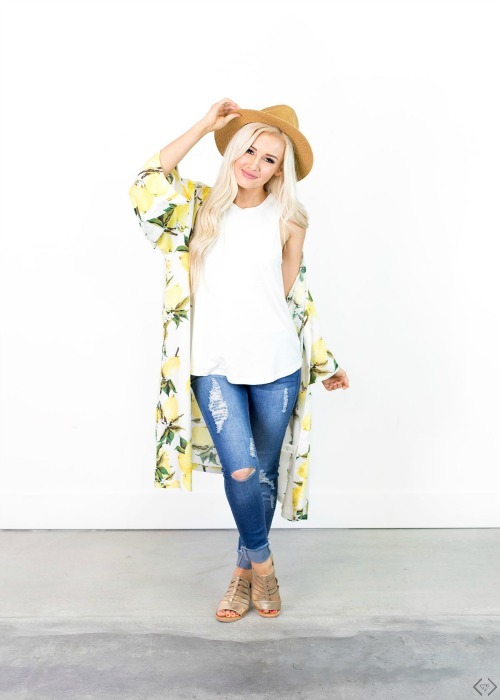 Add your favorite hat, sandals or heels…and you can’t go wrong! Hey, lovely! Ever wondered about how to wear your jewelry as you get older? Check out my new video up on the vlog- where I give you my 5 Jewelry Tips for Women Over 35! I also show you my Ring Sizing guide in case you happen to be buying a ring online and have no idea what your size is! And last but not least- I show you a fun jewelry unboxing from Blush & Bar! Socks… it’s one of those accessories I’m willing to bet most fashion bloggers totally ignore. Let’s face it, socks end up being more of a necessity than a fashion statement. Unless you were brave enough to jump on the cutesy feminine socks worn with heels trend that popped up a few years ago, you probably don’t think much of your socks as a fashion statement at all. I’ll admit it, I haven’t either. Then a few weeks ago, I was contacted by a sock brand and I thought, hmm, ok, this will probably be just more of a write up on the sock then actually styling it, but boy was I wrong! These super chic knee-high socks totally DO make the right kind of fashion statement! Bombas Socks aren’t your standard socks! The makers of Bombas set out to change socks, by making them as comfortable as humanly possible! And you know what? From my experience with them over the last few weeks, I think they totally succeeded in making the world’s most comfortable sock! 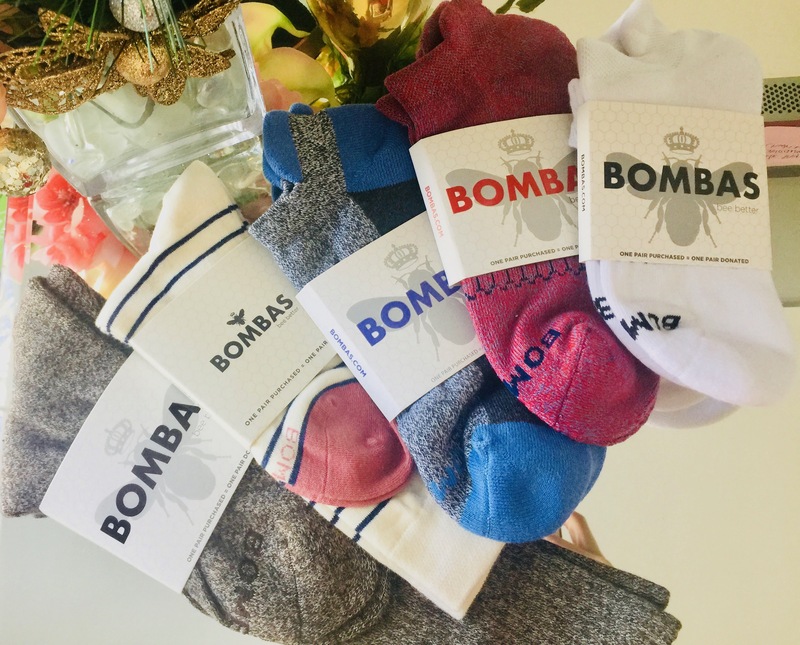 Unlike regular socks, with Bombas, you won’t find those annoying toe seams or heel seems that squish up into the top or bottom of your shoe – ouch! They also have arch support which you feel right away as soon as you put them on, yet they aren’t too tight, but juuuust right! The elastic around the top impressed me the most! It isn’t too tight either, but instead holds the sock up in place perfectly! My knee-high socks didn’t slide down one single bit the whole day I wore them! They stayed right up, so no having to bend over to pull them up- EVER! If was flippin’ cold out and my boyfriend told me I was going to freeze taking these pics with my bare knees hanging out, but my Bombas socks were actually super warm and kept me pretty nice and toasty! I was totally impressed! Made from super warm merino wool and an incredibly comfortable, soft cotton, these socks feel amazing on. Absolutely no itch! They also have reinforced seams too, AND get this – they are anti- microbial treated too! I also love that a lot of their socks are in darker colors, so wear isn’t so visible once you’ve worn them, you know, like a hundred times! But if you love your traditional white socks, you can find them here too! They have all kinds of different sizes and styles for men, women, and kids too. I’ve worn some of their ankle socks, no-show socks, calf socks and knee-highs, and they are all fabulous! They look great and are of course – are ultra comfortable to wear too! I’m totally lovin’ that they just came out with ultra cozy, warm, supportive ski and snowboard socks too! From my experience just wearing their super warm knee-high socks, I have no doubt these ski socks will keep feet cozy and warm all day on the slopes!